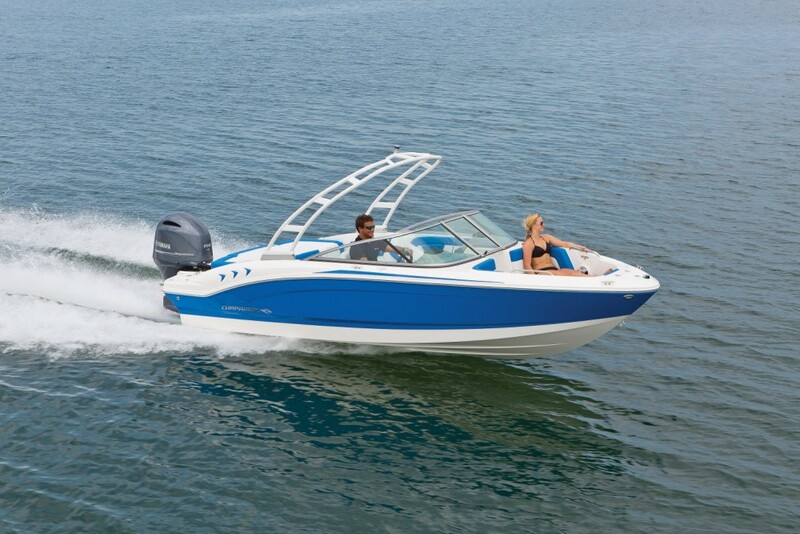 With the Chaparral 21 H2O Outboard Sport model, you'll get a lot for a little—even with optional equipment. At a base price of $32,795, the Chaparral 21 H2O Outboard Sport is a great way to get into a brand-name boat for a reasonable amount of money. The boat itself is part of Chaparral’s H2O series of boats, which includes 19- and 21-foot models with sterndrive powertrain. Thus far, this is the only H2O model with outboard power, and it makes great use of it. How? 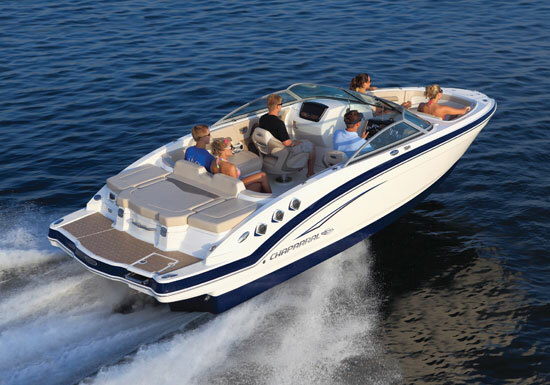 This Chaparral model is a smaller outboard-powered runabout that packs a big punch. For starters, it’s a 21-foot boat that weighs less than 3,000 pounds—2,800 pounds to be exact. A low weight is a benefit for a number of reasons, fuel consumption being just one. You can tow a boat this size and weight with a wide range of vehicles and they don’t have to be heavy-duty pickups that are too cumbersome to drive daily. That means you also use less fuel on the road. 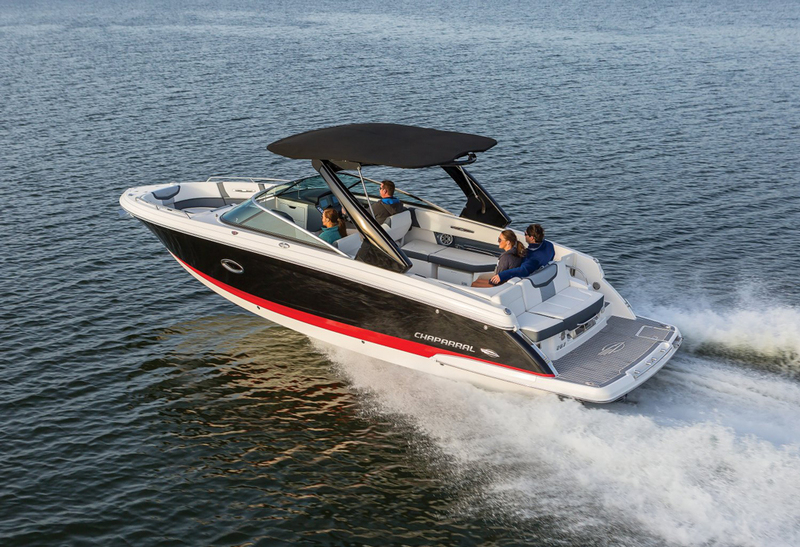 Outboard power frees up a lot of interior space and it places the weight of the engine outside the hull’s footprint where it can have greater leverage and trim control than a sterndrive. Lots of manufacturers are turning to outboard power these days and it’s been good for the industry. As mentioned, $32,795 is a good price for a Chaparral, but the H2O Outboard Sport is arguably a bit spartan in base trim. So, what would it take to outfit it to make it a boat you will keep for years rather than trading in after a few seasons of boating? What could you get for, say, $40,000, which is still a good price for a Chaparral? Let’s hit the options list. The standard gelcoat treatment looks great, with no real need for options, so make ours navy blue and let’s move on. Stock power is a 115 HP Yamaha four-stroke. Opting for more power is always appealing, but it can be pricey, so let’s upgrade to the 150 HP motor, which bumps the price to $35,795. So far, so good. For just $130, buyers can upgrade to Sea Star hydraulic tilt steering, which makes for a nicer-driving boat. 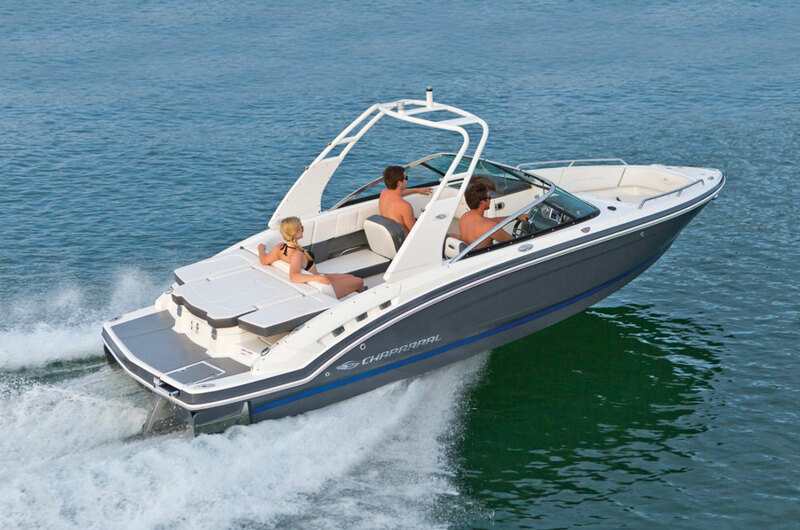 The boat doesn’t come with a bimini top, which is practically a requirement. You can get just a bimini top on a folding frame for $750. Of course, these days, a tower is practically a necessity for anyone who wants to use his or her boat for towing riders, and you can get one for $2,370. The bummer is the tower doesn’t come with a bimini. That is part of the “deluxe package,” which will run you another $1,095. That puts the price at $40,155, which is a little over our goal. Meh, $155 is in the ball park, so we’ll call it good. However, if you stay with stock power, you can get even more goodies, so let’s experiment with that, too. With stock power, the tower and the deluxe package, the price is now $37,155. What else can we get? 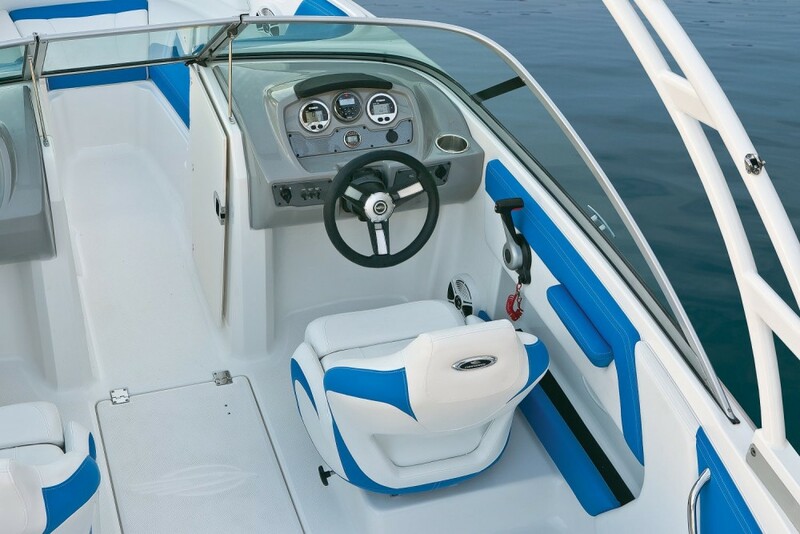 Chaparral offers Sea Star hydraulic tilt steering, which makes for a nicer-driving boat, and it’s only $130. In the cockpit, you can get a bow walk-through door for $175, a bow filler custion for $210 and snap-in carpeting for $345. Now we’re at $38,015, so let’s add the Clarion stereo with Bluetooth and transom remote control for $410. We might as well get a galvanized anchor and an air pump for $95 each and add docking lights for $165, bringing your total to $38,780, which leaves room for the $895 prep fee, whatever that is. With no options boxes checked, you still get it on a standard powder-coated steel trailer, so you’re ready to rock right out of the gates. In base trim or optioned out, the Chaparral H2O Outboard Sport delivers the quality and resale value you expect from a brand-name builder, but also the value and durability to stand the test of time. 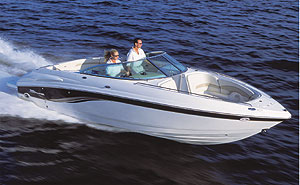 Other Choices: For similar outboard-powered bowriders, check out the slightly larger Cobalt 25SC. 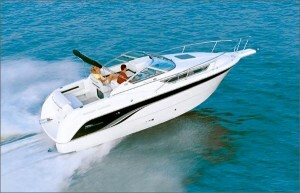 For a spry little model that's a bit smaller than the Chaparral, look into the Rinker Captiva 170 OB. 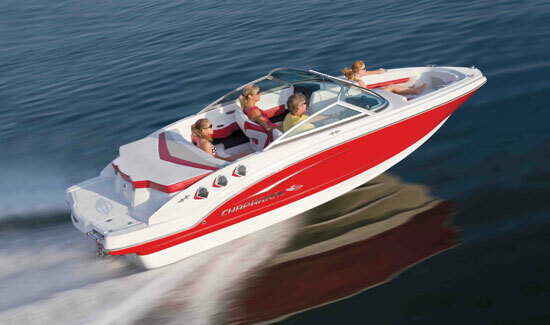 For more information, visit Chaparral Boats. 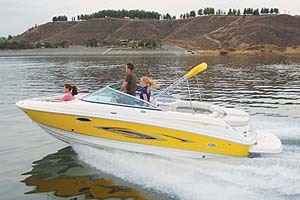 See Chaparral 21 H2O Outboard Sport listings.